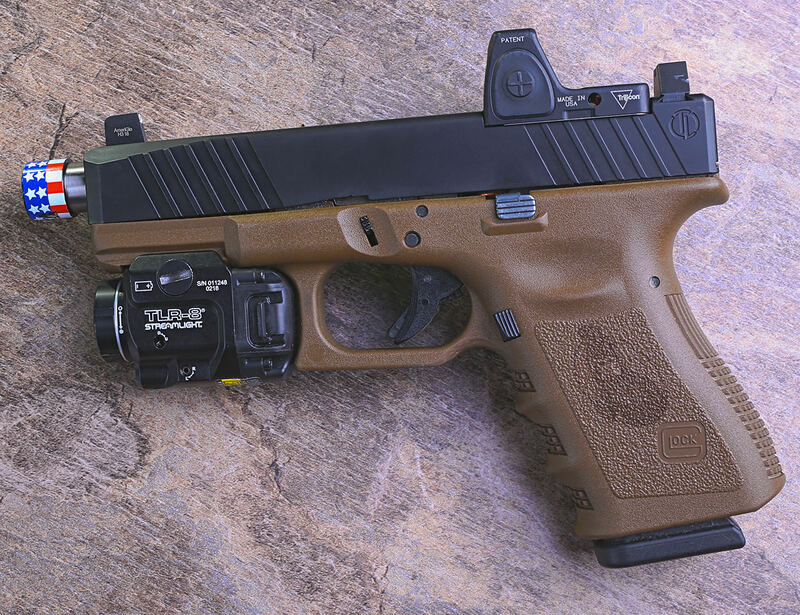 The ThompsonLeh Gen3 Glock 19 RMR Slide's are awesome and extremely purpose built. This one have been run through its paces more than once and it functions extremely well. The slide has numerous industry demanding features and was designed from the ground up to meet and exceed rigorous engineering standards. It's also half the price of other top tier slides on the market, saves you money when you buy optics like the Trijicon RM06 which is on the one pictured. This one also has Ameriglo's MOS height night sights , a prototype barrel I am working through, a flag thread protector , and a Streamlight TRL8 .